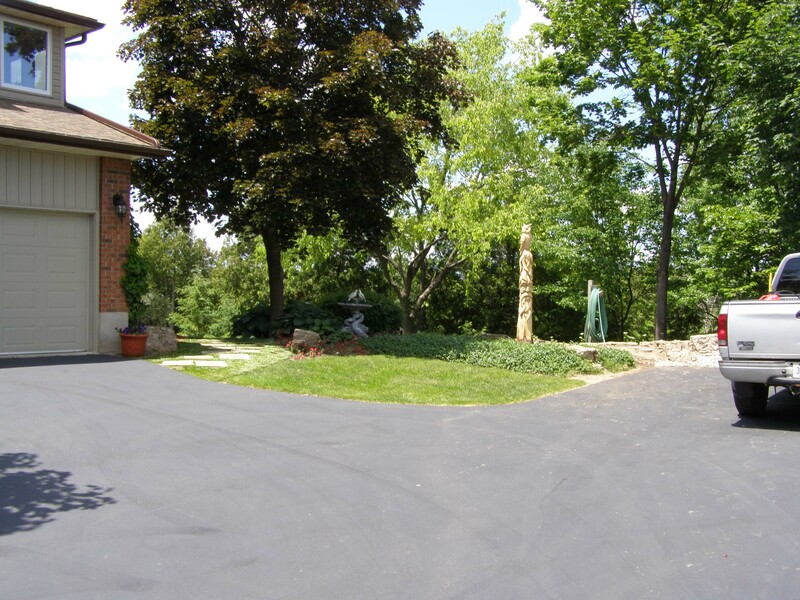 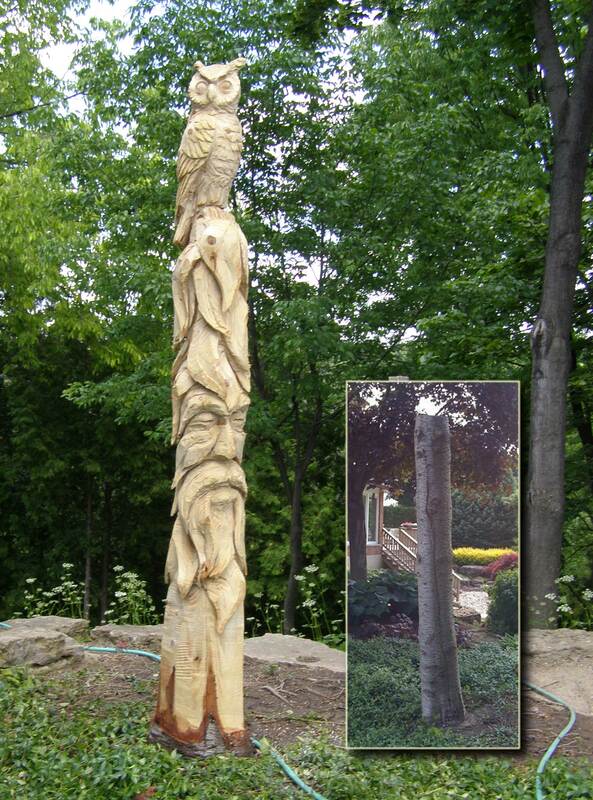 Before and after shots of the Great Horned Owl Totem. 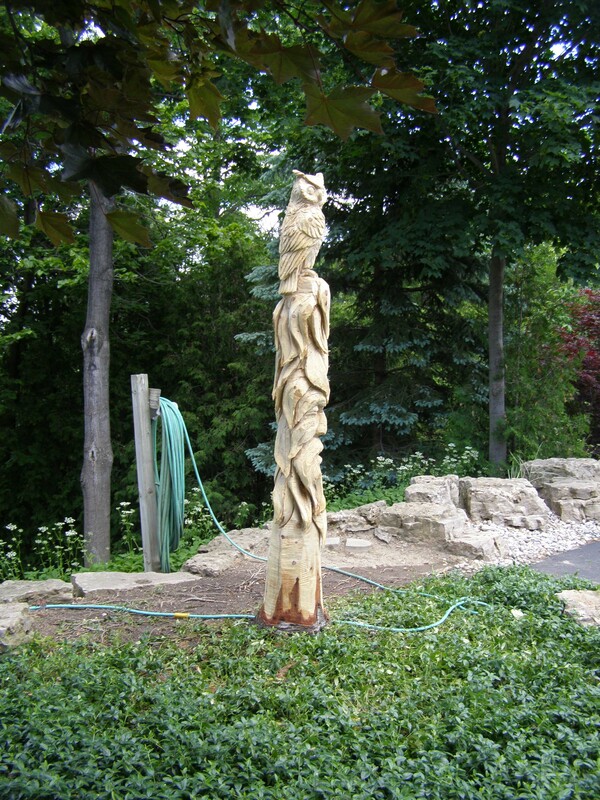 This caving was 100% chainsaw, except for a little around the eyes on the Owl. 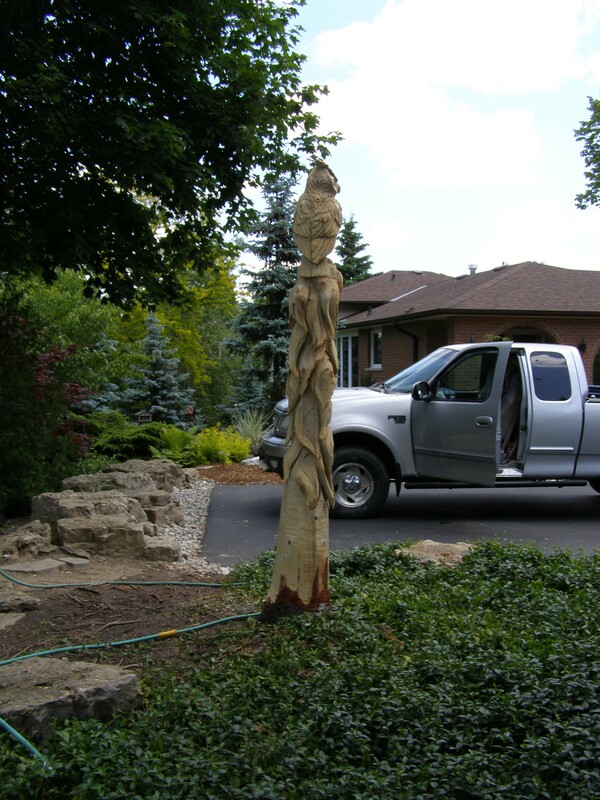 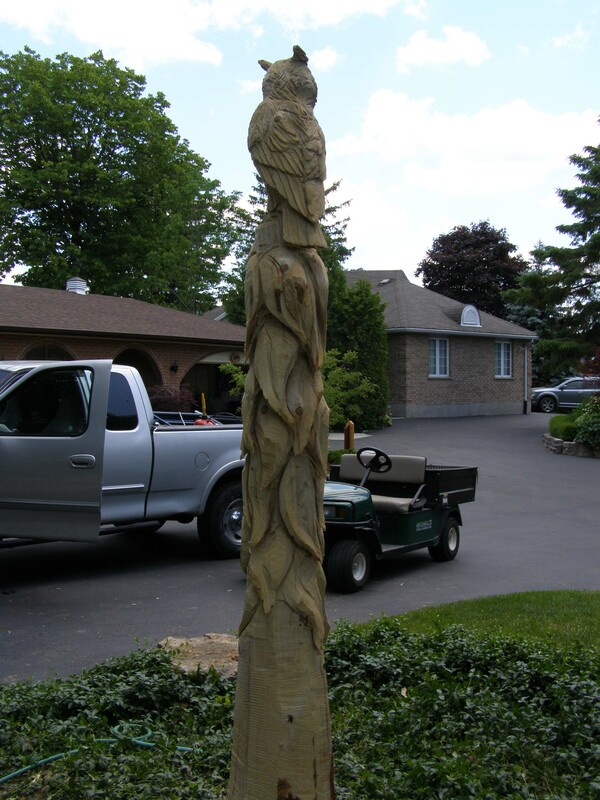 The totem pole was a power piece, it shows a green man in the leaves of nature. 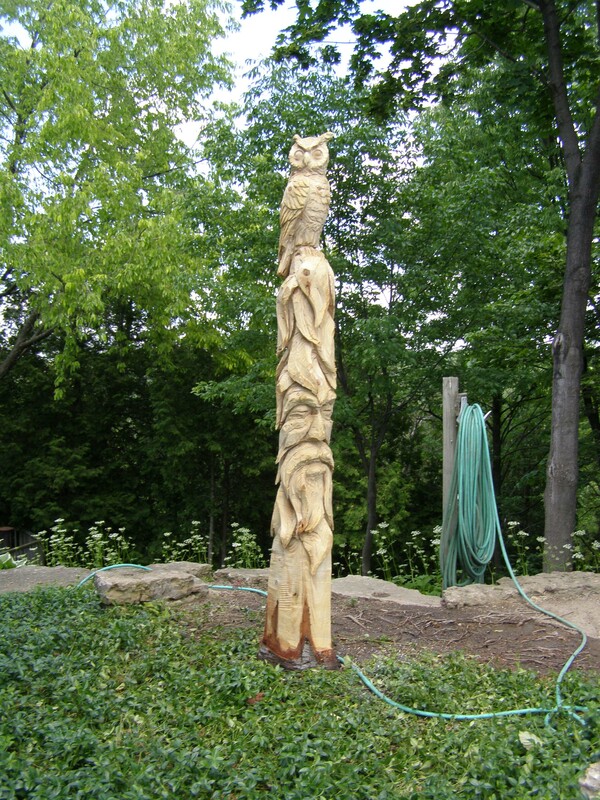 As an experesssion of his knowledge and thinking the Owl rests on his head. 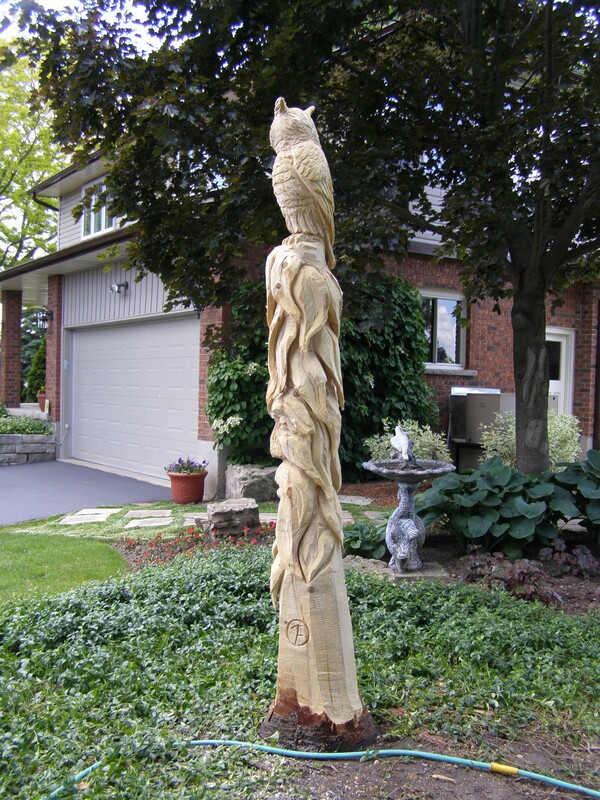 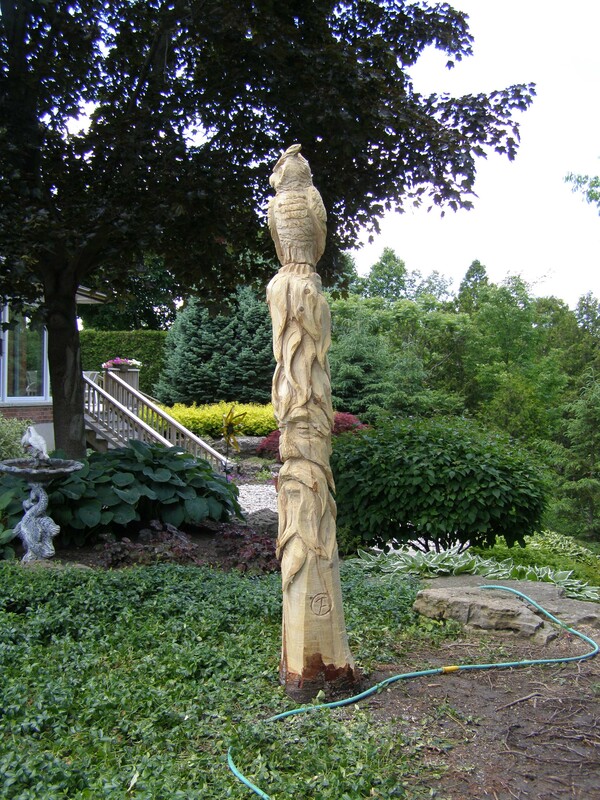 This totem pole is a symbol for knowledge and patience, the wood its self outlasting time and the owl representing the knowledge.